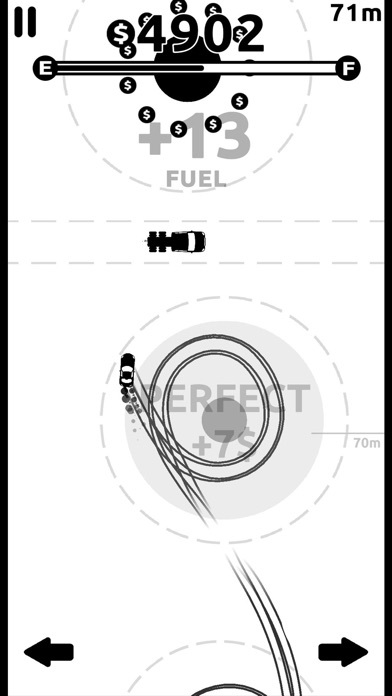 Do the Drift Donuts. Again. And again. And again... 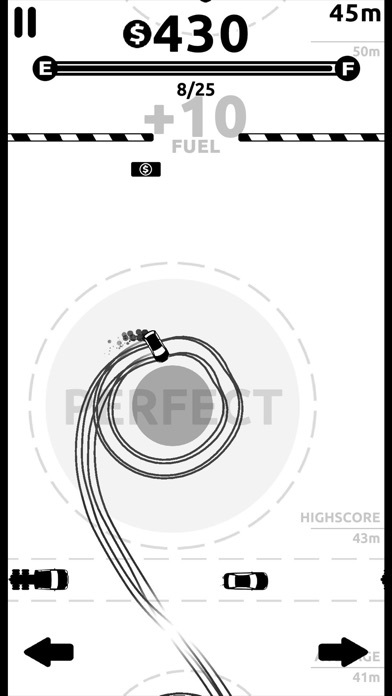 Collect all the Drift Coins to make Perfect Drift and earn extra gas Upgrade your cars Pick up the boosts Drive as far as you can to set an awesome record Avoid the obstacles The game will earn you Drift Coins while you are offline Be the one and only Drift King! The whole game is so glitchy due to the ads which makes it super hard to control the vehicle. This makes the game frustrating and not any fun. If it ran smoothly then it’d be a much better game. It’s Taking away fuel loss when I purchase it. Really Enjoy! Only one issue in a month of play. 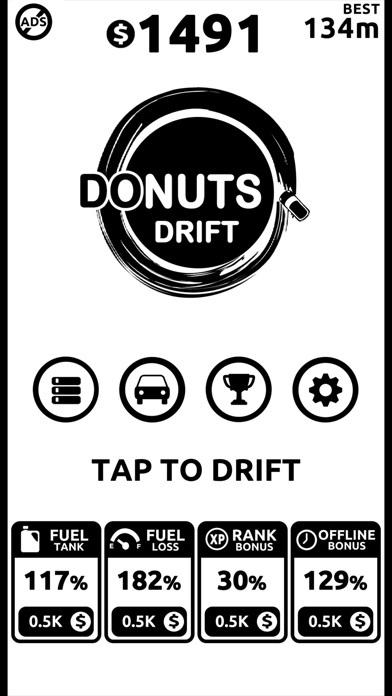 I really enjoy the simplicity but enjoyable play of Donuts Drift. I got to 205% offline bonus, and it stopped actually giving my offline bonus. Please fix. I love his game. I don’t mind he ads. Gives you a focus reset.